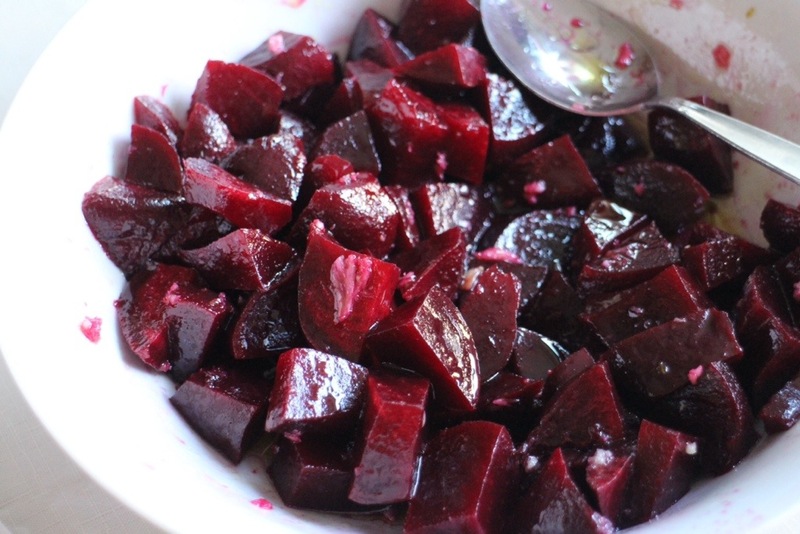 But we also have many favourite side dishes to go with. 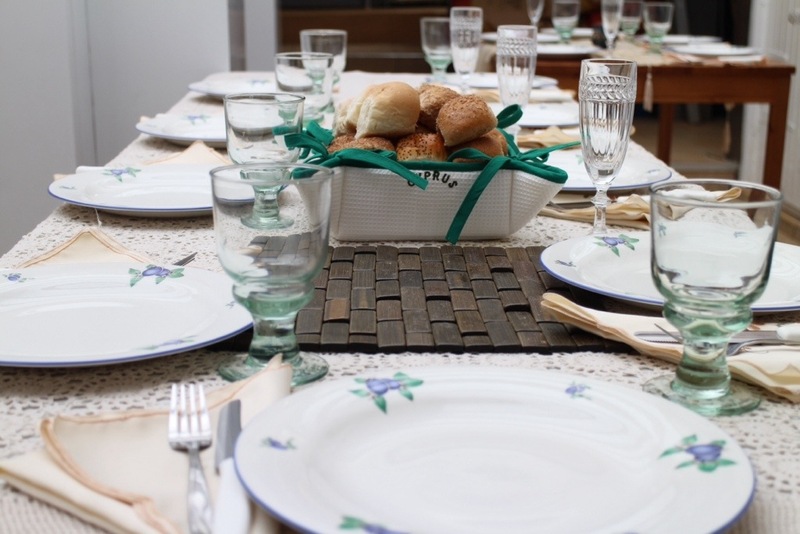 Here are a few of our utmost favourites; always present at our family parties. 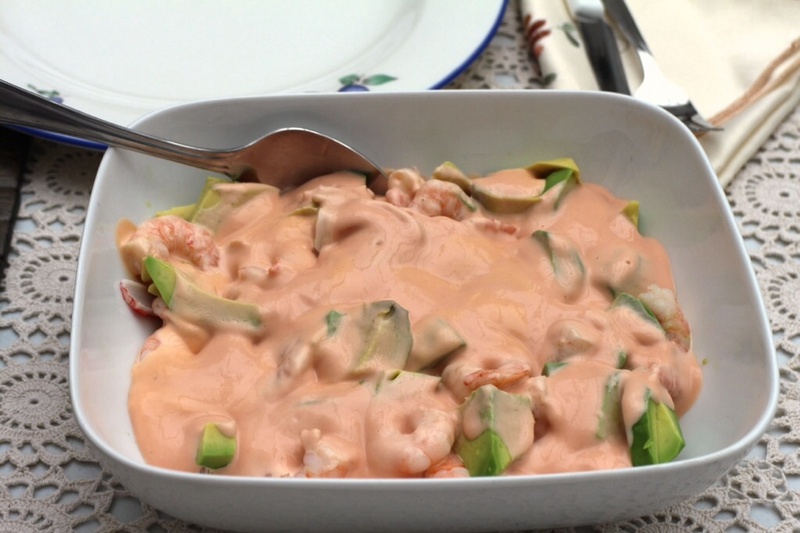 Simply shred around 10-12 surimi sticks into a serving dish, add 200g cooked and peeled prawns (the bigger, the better) and 1 whole peeled and chopped avocado. Add to this, 1 small jar (250ml) of seafood sauce. You can also make your own by mixing mayo with ketchup and a tsp of Worcestershire sauce. The juice of 1 lemon, olive oil and salt to taste. This one is easily altered to suit individual tastes. 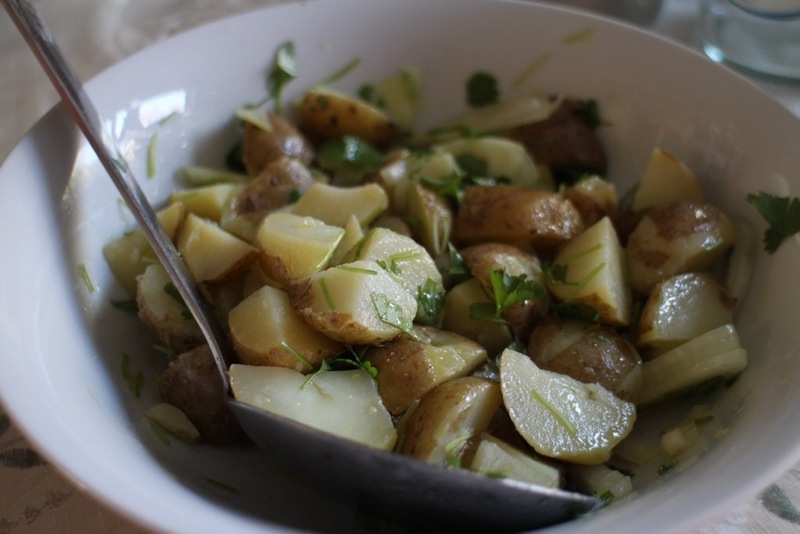 Chopped parsley, coriander or no added herbs? Also fine. 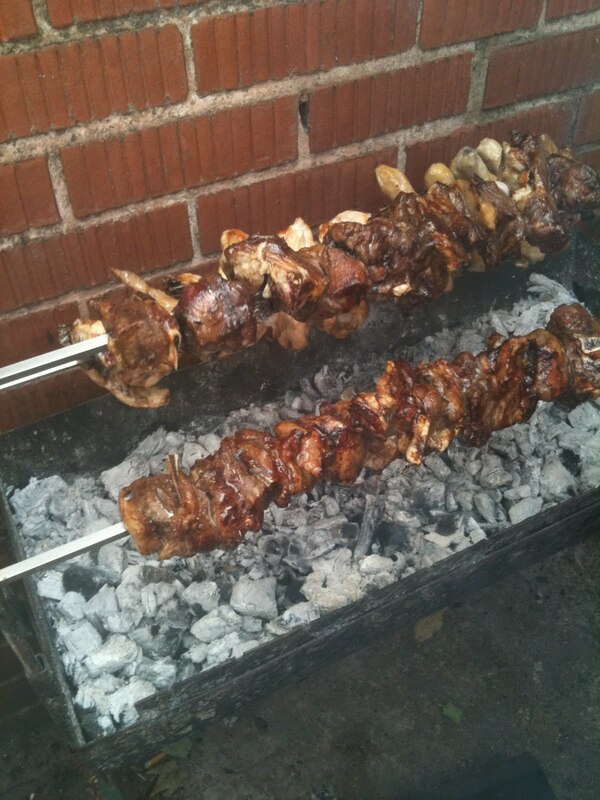 Serve with barbecued meat. Delicious. Need something quick and easy for a mid-week meal? Run out of ideas? Bored? Then I think I may have found an answer. Actually ‘Good Food’ magazine found the answer for me. My family loves spicy food and especially the combination of spicy and sweet, so when I came across this recipe it went straight into my ‘Recipes I’m going to try one day’ folder. That day came sooner than I thought…. Recipe adapted from ‘Good Food magazine’ July 2011. Start by preheating your oven- 200deg. C or 180deg. C if you have a fan oven like me. 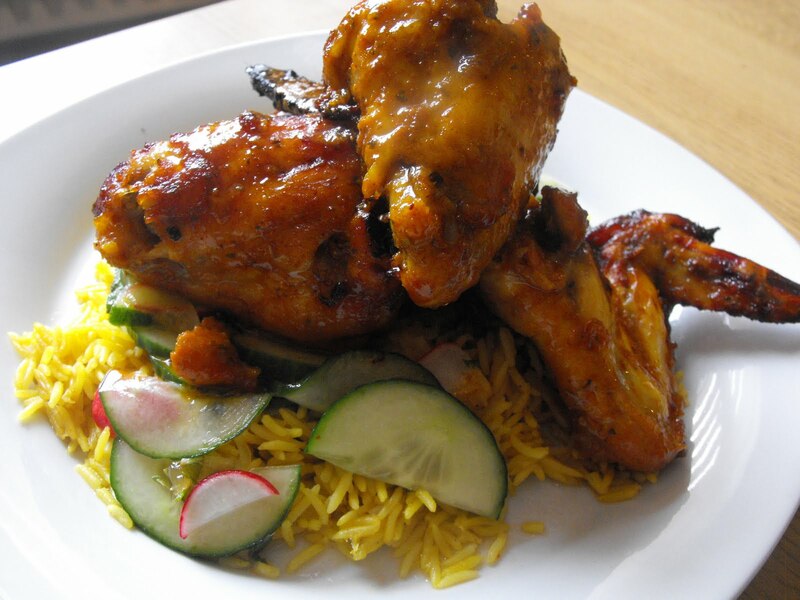 Mix the curry paste with 2 tbsp of the mango chutney in a big bowl, throw in the chicken wings and mix well. Put them in a single layer on a large baking tray and roast for 40-45 minutes. 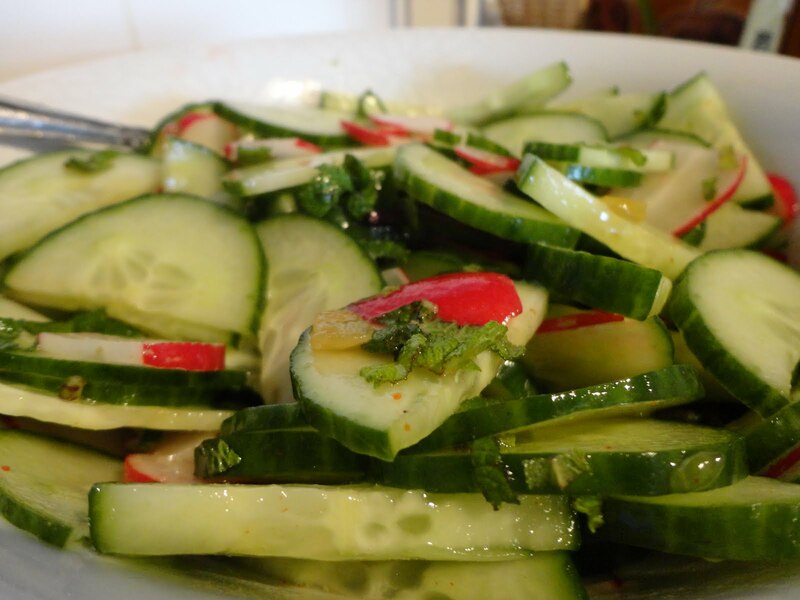 While the wings are cooking, mix the cucumber, radish and mint, remaining mango chutney and the lemon juice. 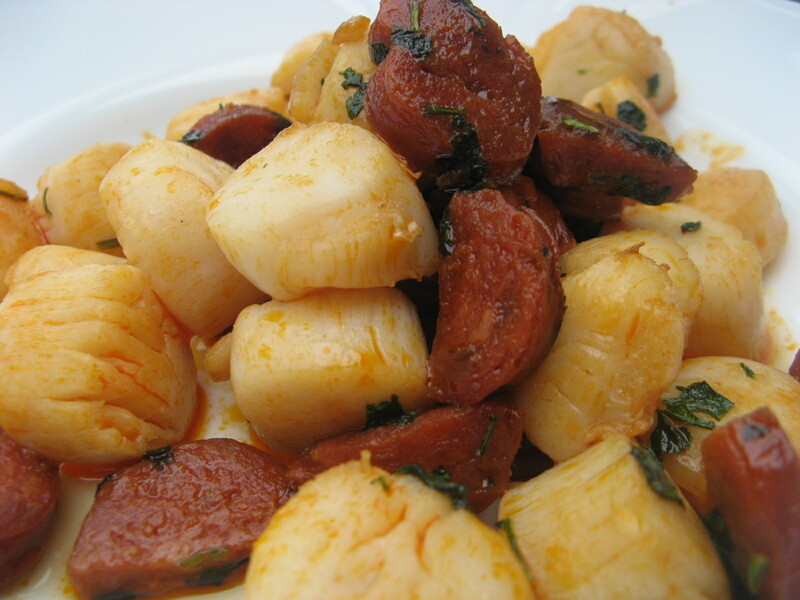 Serve with cooked rice if you like. Marks out of ten: 7. Would I make it again: The chicken wings – yes definitely. 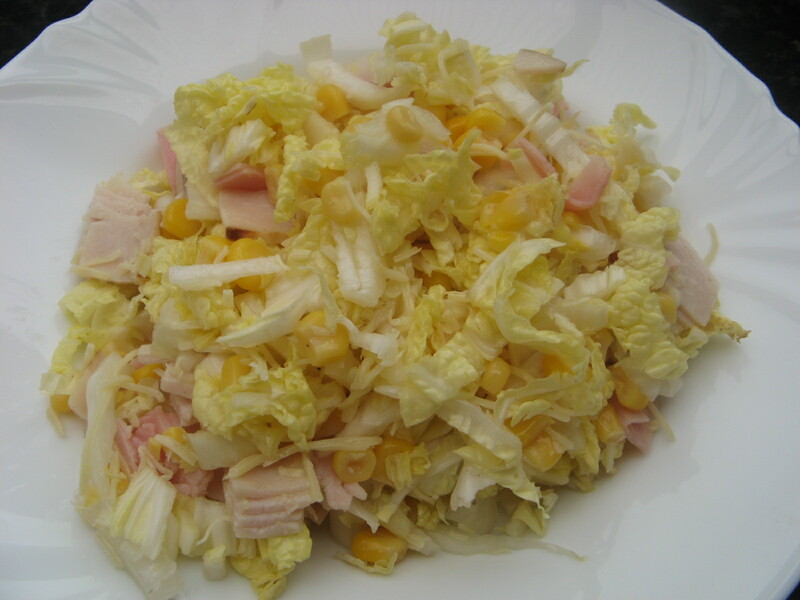 The slaw – yes, with a few changes. Would I do anything differently: I’d only use a tiny sprig of mint as it was really overpowering in the salad. I used about an extra tbsp of mango chutney in the salad as we like things sweet. Our big fat Greek family bbq! 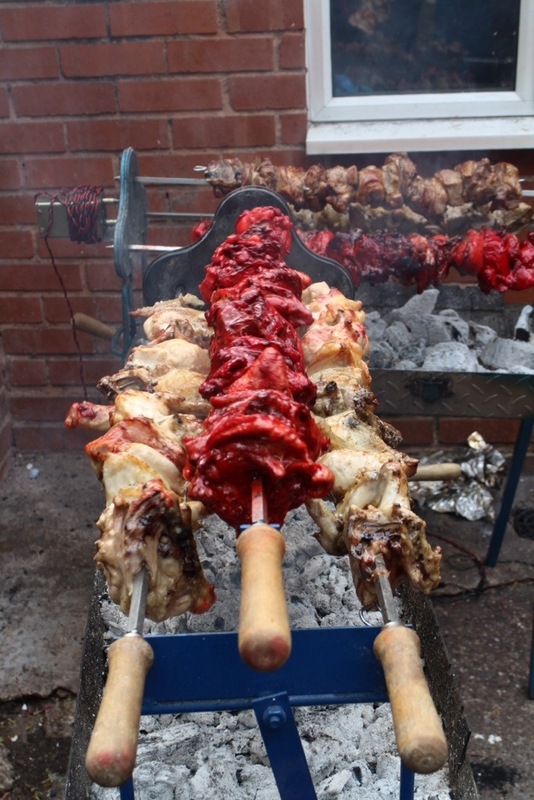 Bbq= Greek family …….both work…..
It’s a fact of life. 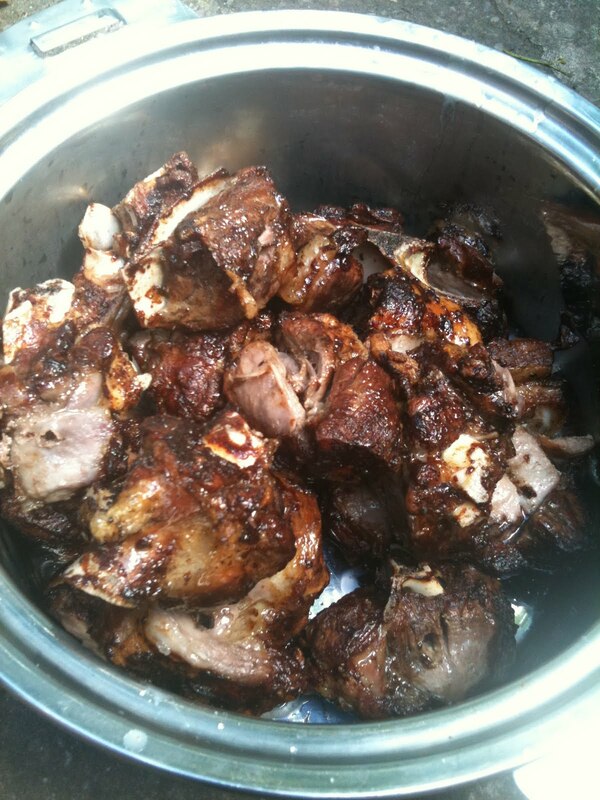 Where we go, our bbq goes…..
(Note the motorised bbq)…..a small motor keeps the meat turning and cooking. Happy days! 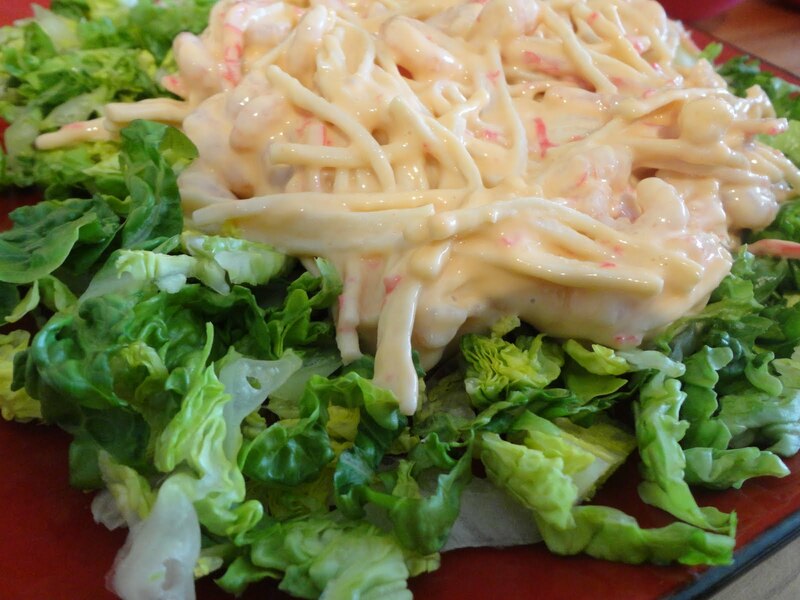 Made by my 12 year old daughter, more of an assembly job than a recipe, it consists simply of small, peeled prawns, about 10-12 shredded ocean sticks (Also called crab sticks or surimi) mixed together with seafood sauce or Thousand Island dressing, piled on top of fresh, crisp, shredded lettuce leaves. Of course you can make your own sauce, but we didn’t this time. 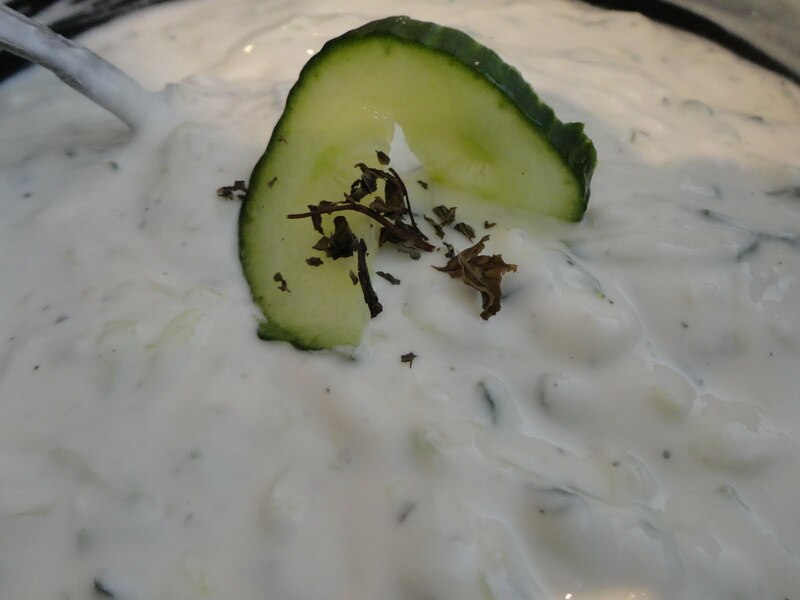 Also known as raita, or cucumber and yoghurt dip. Also made by my daughter – mix 1 large tub of yoghurt, with half a large, grated (on the side with the large holes on the grater) cucumber. Make sure you squeeze as much of the water out of the shredded cucumber as you can, so that the finished tsatziki is not watery- 2 cloves of peeled and crushed garlic, dried mint (about a teaspoon) and salt to taste. Soak 250g (half a packet) of couscous in enough boiling water to cover it by about an inch, add a little salt and some Marigold stock cube powder, or similar. 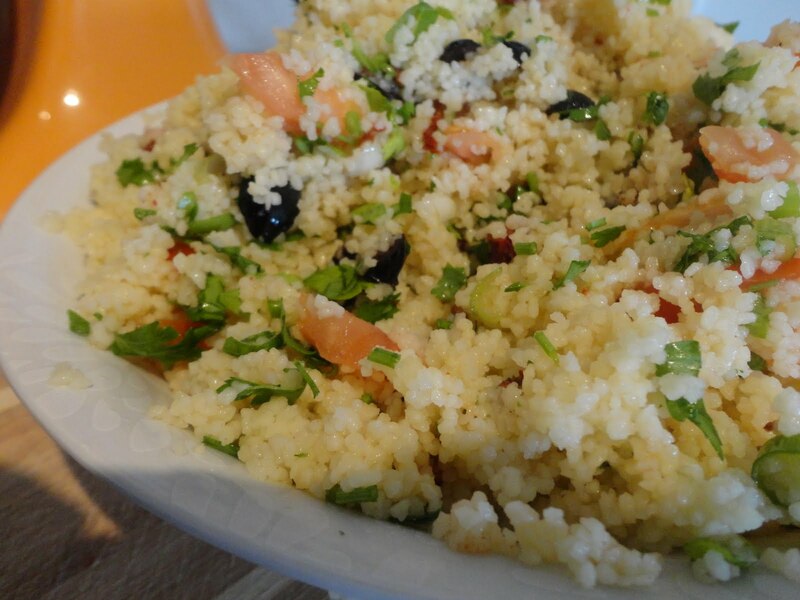 Leave the couscous for about 10 minutes to absorb the stock. you can chop the rest of the ingredients while you’re waiting. 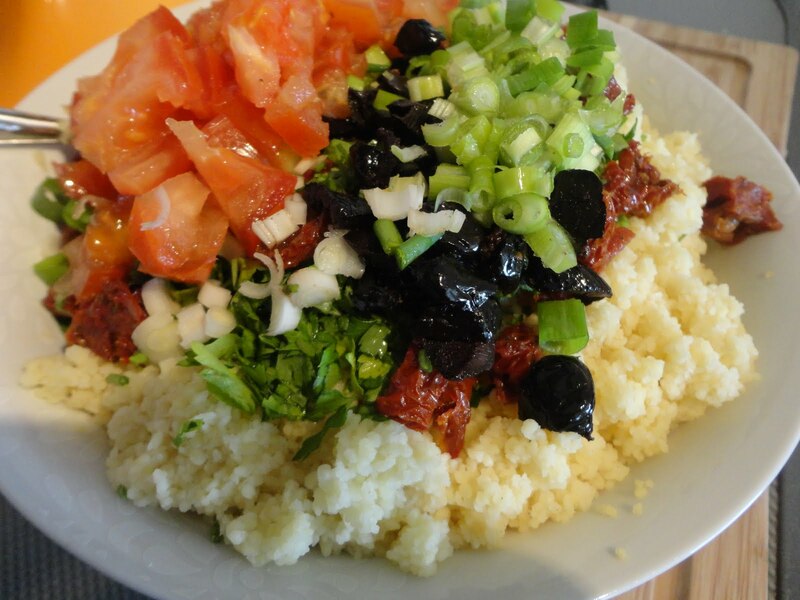 Now mix these into the couscous and drizzle a little of the oil that the tomatoes are packed in over it. – nice and easy, because it’s all simply whizzed up in the processor. 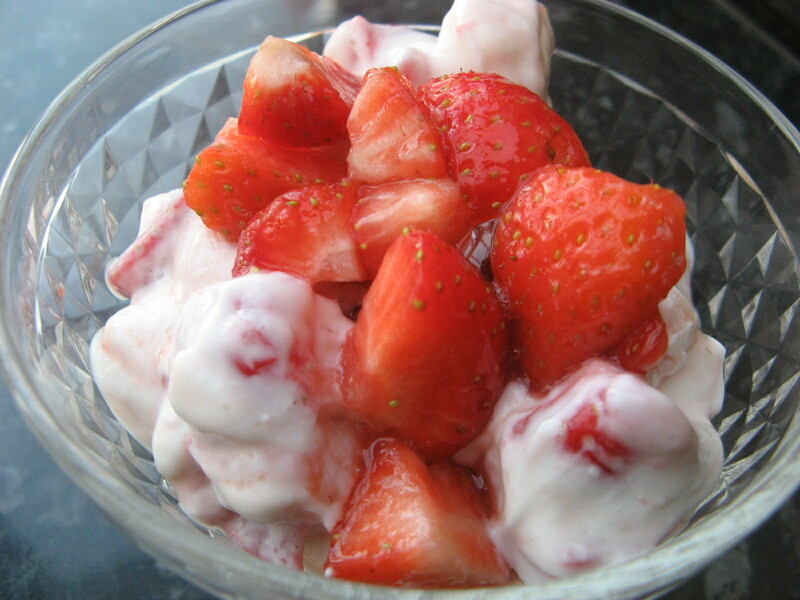 Whizz it all up in the blender, place it in a suitable bowl…..I know, I know……mine is pink plastic….but it’s pretty! 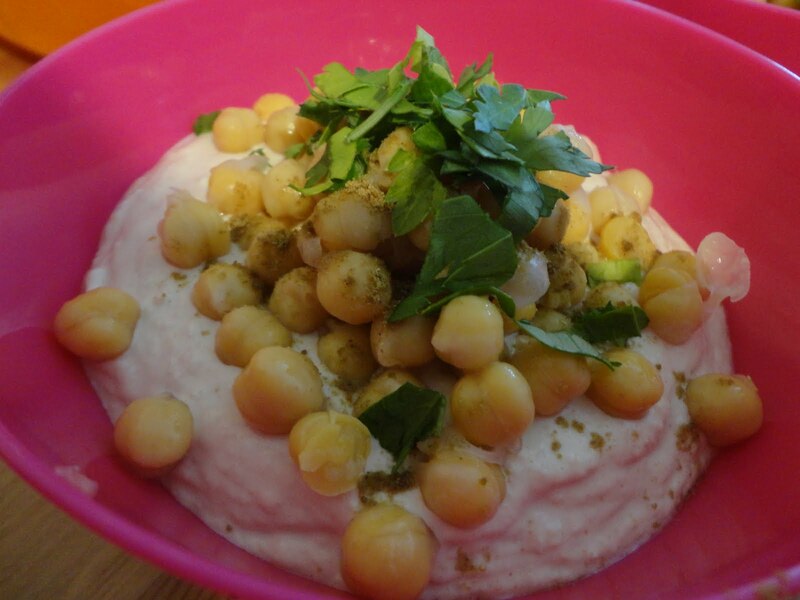 Decorate with fresh parsley, a pinch of ground cumin and some reserved chickpeas. 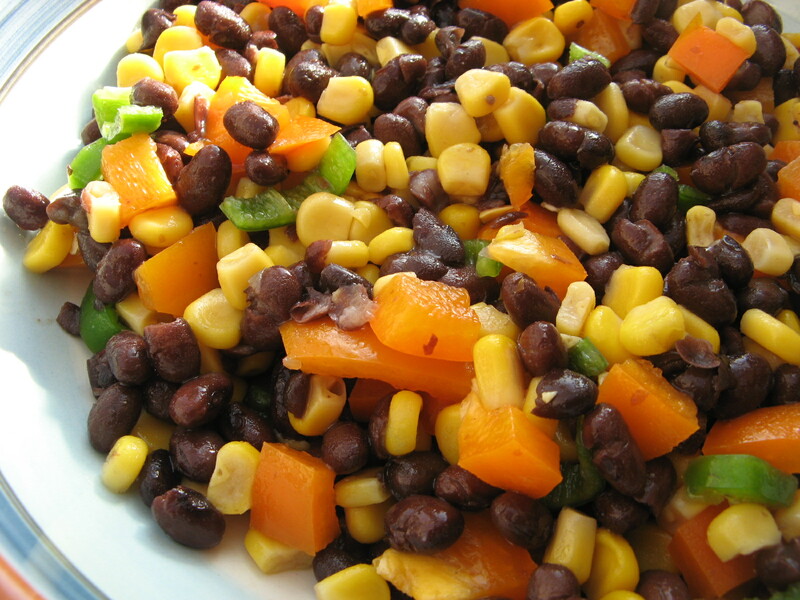 I added corn, chilli and orange pepper to the beans, they were so delicious, I think black beans are my new favourite food! I used 0% yoghurt instead of cream to make this, and instead of crushed meringue, used mini marshmallows. It worked really well, fantastic in fact. I’ll definitely do this again. I think the amount of peanut butter in this recipe, could be cut right down without being detrimental to the finished dish. 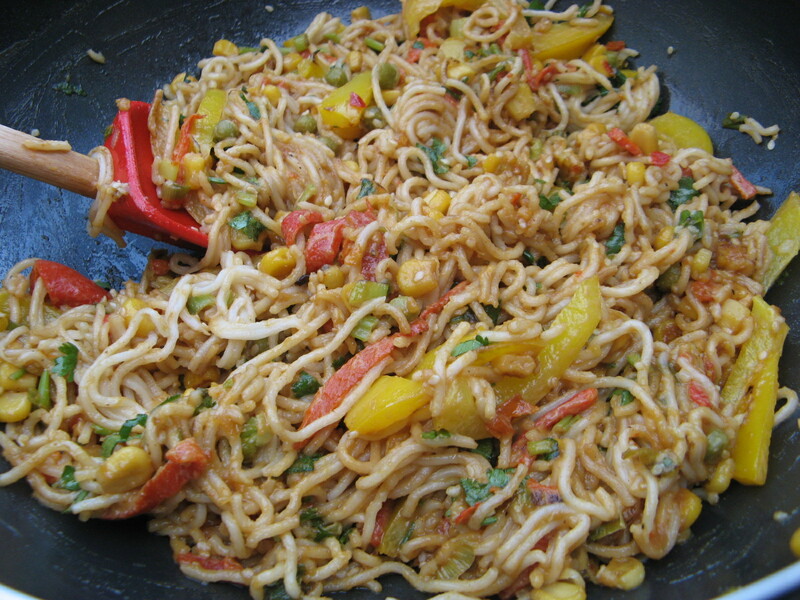 I used ready cooked noodles from a packet which made it even more express! 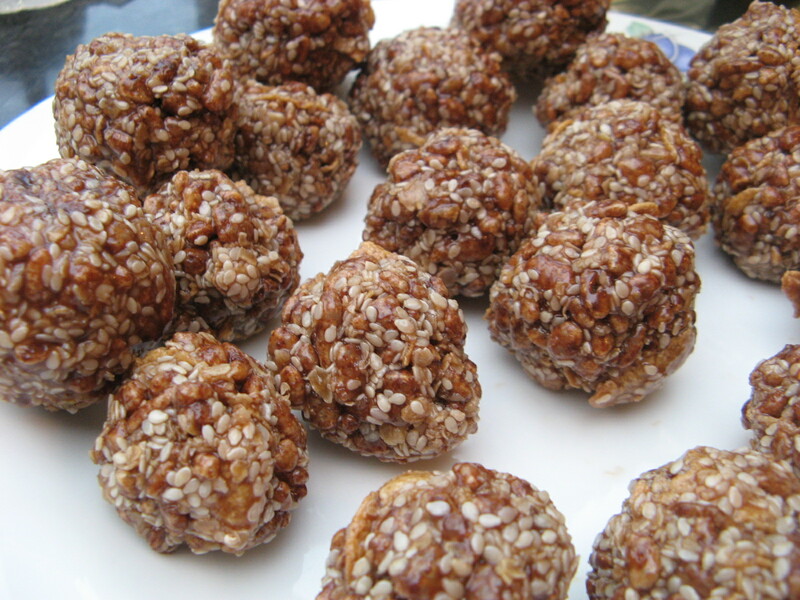 I hunted out the rice malt syrup from Waitrose to make these, but had to use coco pops instead of rice crispies, as that’s all I had at home. Everyone loved these, but I found them incredibly moreish. In the end I was practically forcing them down the family’s throats so that I wouldn’t eat them all. I will definitely make them again, but not now that I’m counting points! One word for this – fabulous!! I am truly amazed how two ingredients can marry so well together and produce something so tasty! I’ve gone a bit mad making recipes from ‘Nigella Express’…everything is ,well, so Express! The Chef’s salad fit really well into my point counting, especially as I found the avocado in my fridge was rock hard and unusable. It’s a good, basic salad. 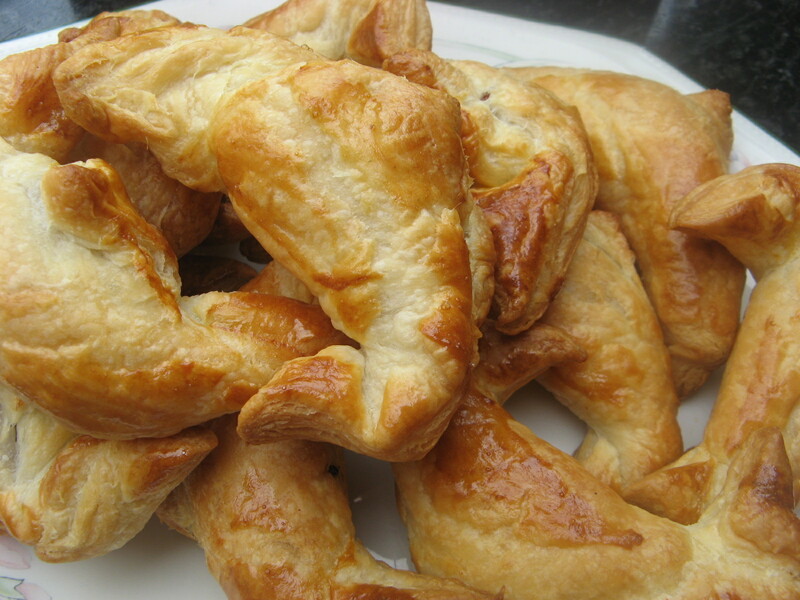 Chocolate croissants? Fabulous! The quickest baked goods I’ve ever made. OK, it helped that the puff pastry was from a packet and already rolled out. Add a small cube of chocolate, roll up, cook. Bliss! 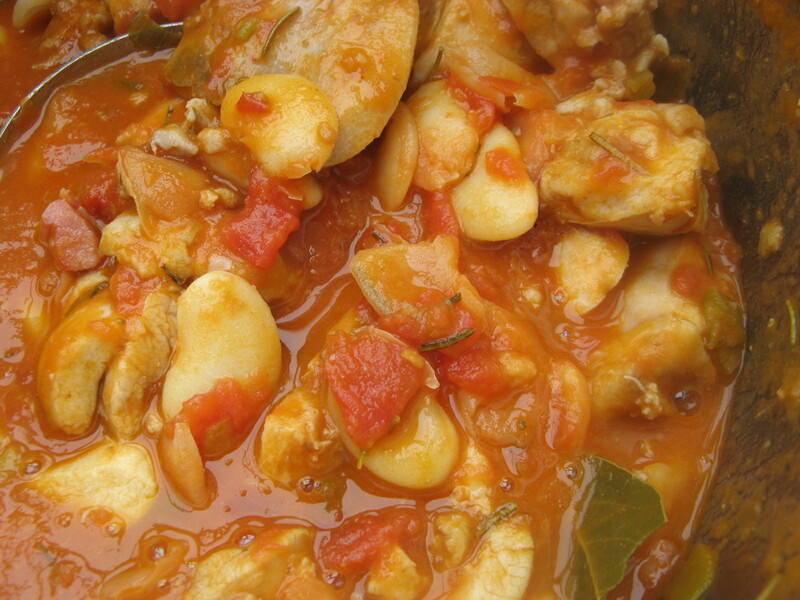 The pollo alla Cacciatora was very simple to make, I even found skinless, filleted chicken thighs in my local Asda. The smell coming from the pot was amazing as they were cooking. I don’t really like cannelini beans, so used a tin of butter beans instead. It’s worked very well. 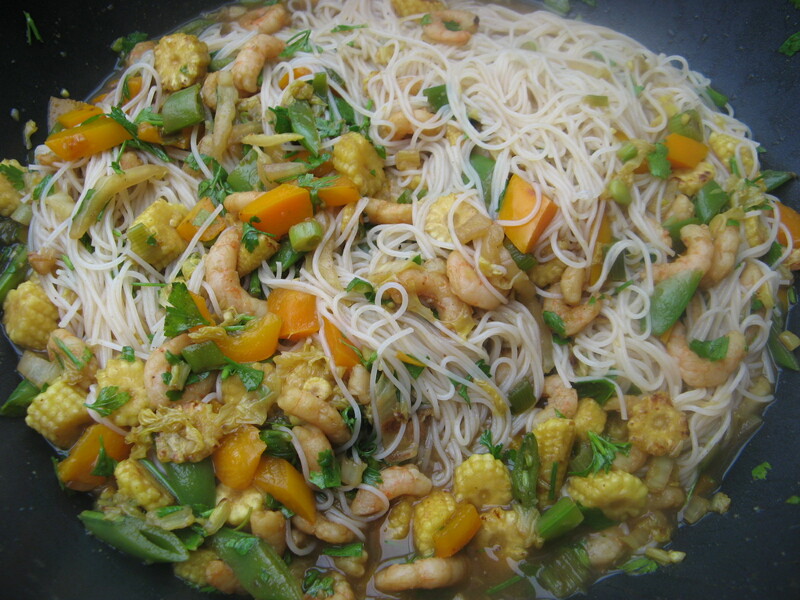 These are the Singapore noodles, so easy to make, tasty, great! Even though Elena was picking out the prawns!